There are numerous things you should know about a toothbrush. 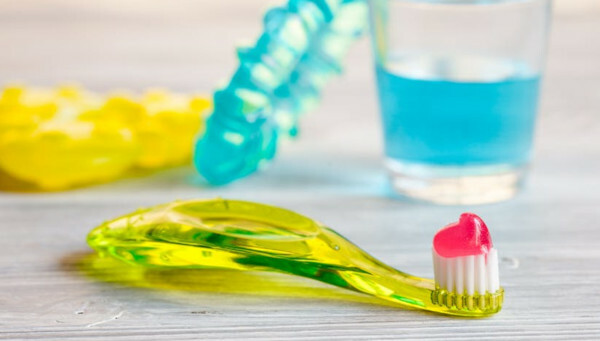 It is very important for your dental health to know when to change your toothbrush, types of toothbrushes, how to take care of brushes and much more. You will learn about those topics and learn everything that you need to know about brushes and their importance in your dental hygiene. Toothbrush is an indispensable means of personal hygiene. About how many times a day you need to brush your teeth, everyone knows, but how often a toothbrush needs to be changed is not known to everyone. On the other hand, it is the quality of the toothbrush that determines how effectively the surface of the teeth and adjacent tissues are cleaned. Therefore, it is important to replace the toothbrush in a timely manner and take good care of it while using it. How can a toothbrush be dangerous? Toothbrush and toothpaste are allies of healthy teeth. But if the toothpaste ends relatively quickly and cannot become a cause of danger, then toothbrushes can. Worn out toothbrushes or brushes that are exposed to moisture for a long period of time are a true focus of bacteria. 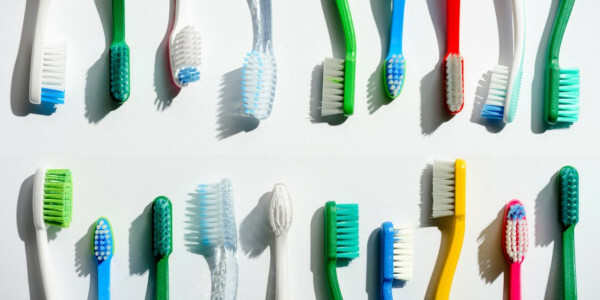 Researchers say that worn toothbrushes can cause and contain up to 100 million bacteria, which can cause gum infections. To eliminate those dangers of a toothbrush, dentists recommend changing a toothbrush every three months. This is not a whim or a possibility of increasing sales of toothbrushes. Above all is the desire to prevent patients from getting sick or worsening certain problems associated with their teeth. There are two styles of toothbrushes to consider: manual and electric. A manual toothbrush is the most common. Teeth cleaning is performed by mechanical hard movements for 2-3 minutes. 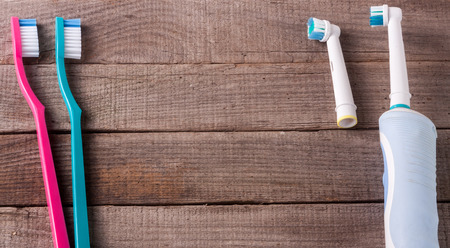 An electric toothbrush is designed for maximum ease of brushing. The electric toothbrushes works with the help of a small motor built into them, which is capable of driving floating bristles. The rotation speed depends entirely on the model you choose. Why Should a Toothbrush be Changed? Not only the material and type of toothbrush is important for the health of the teeth and mouth, but also the period of its change to a new one.In the process of using the toothbrush bacteria appear and multiply on it. They release toxins that negatively affect the soft tissues of the oral cavity (periodontal). Bacteria also form acids that increase the risk of cavity. American Dental Association (ADA) recommends changing the toothbrush every 3-4 months. This is the maximum time allowed. However, this figure may vary depending on the manufacturer and the quality of this hygiene item. Bristle sticking out in all directions. This toothbrush can not completely remove the bacterial plaque. Brushing your teeth in this case becomes completely ineffective. Indicators indicate the need for replacement. Many modern toothbrushes have color indicators that tell you that the time has come to replace it. The fact that the time has come to change the tool will become clear after changing the bright hue of the indicators to pale. You have recovered from a disease. After an oral disease, the toothbrush must be replaced, even if it is new. Toothbrush must be changed in the event that its owner had a cold or a viral infection. Continuing to use it, a person puts himself at risk of re-infection. Do not use a toothbrush in the event that it was stored in improper conditions or fell to the floor. Someone used your brush. Replace the toothbrush in the event if it is used by another person. Otherwise, you can catch an infection. If you notice that the bristles of a toothbrush are worn out , then you should immediately change your toothbrush. This rule also applies if you have a cold. To ensure that the disease does not return, immediately replace the toothbrush with a new one. The right choice of toothbrush depends not only on the age of a patient, but also on the state of the his or her oral cavity. Therefore, the consultation of a professional dentist in this matter will not interfere. 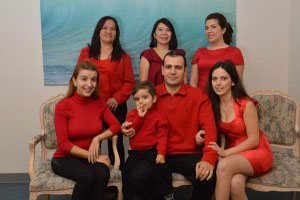 For more answer, please contact the best dentist in Burbank, Dr. Sahakyan, at My Dentist Burbank. Please call 1-818-578-2332 for an appointment today. It is suitable for people with gum disease and children under 5 years of age. Soft toothbrush is recommended for the inclination of the gums to bleed. It is also suitable for children from 5-12 years. Medium or medium hard toothbrush. Medium hardness toothbrushes are for most adults and children over 12 years old who have no particular problems with their teeth. This type is designed for people who have an accelerated formation of plaque, (for coffee lovers and smokers). Use a toothbrush type recommended by your dentist. You should brush for two minutes at a time, especially first thing in the morning and before bedtime. 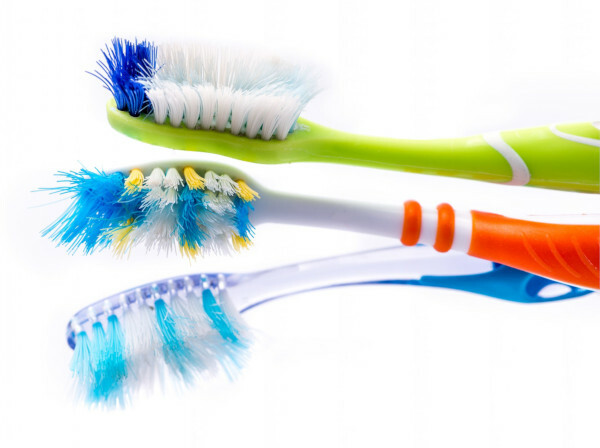 Change your toothbrush every 3 months or when the bristles look frayed or worn. Frayed bristles are less effective in removing plaque and can damage your gums. After each use rinse your toothbrush with hot water and remove any debris or toothpaste. If you want to keep a toothbrush far from the source of bacteria, then you must make sure that it is covered with a special cap and it is dry. You can also leave your toothbrush in an antibacterial solution for an hour every second week of its use. Change your toothbrush after a flu, cold, mouth infection, as microbes can hide in the bristles and cause reinfection. Oral hygiene is a very important element for maintaining healthy teeth . If you want to have healthy teeth then you should focus on daily oral hygiene. During your oral hygiene you use the toothbrush often, which does not gets replaced like mouthwash and toothpaste. Choosing the right toothbrush, using it correctly and taking good care of it are crucial in having the right oral hygiene. Additionally the selection of the toothbrush depends on how healthy your teeth are. To evaluate your oral health and choose the right toothbrush for you, contact the best dentist in Burbank, Dr. Sahakyan. Please call 1-818-578-2332 for an appointment today.